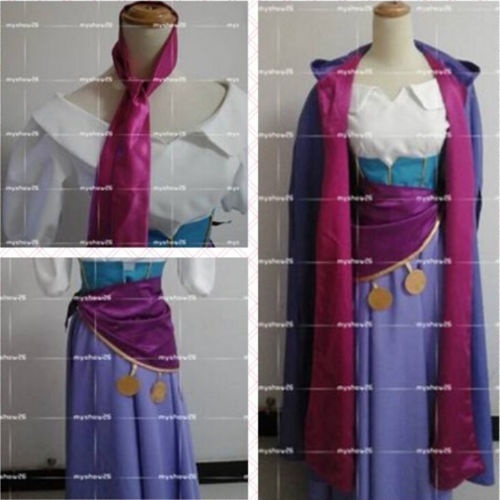 Esmeralda Costume on Wish… Maybe? I have become fascinated by the culture of youtube videos where people buy basically low quality products off of sites like Wish and Romwe just for the curiosity of what the low cost products are like in real life. It does seem that youtube is a sea of these types vicarious purchasing videos as evident by all the haul and product base review videos. Now I have gotten at least two items from Romwe in the past and I hated them and I have no desire to get anything off of Wish but I want to play in this content sandbox too so I decided to see what Wish had to offer for Hunchback products. Turns out it seems like to search through Wish you need to have an account, screw that. 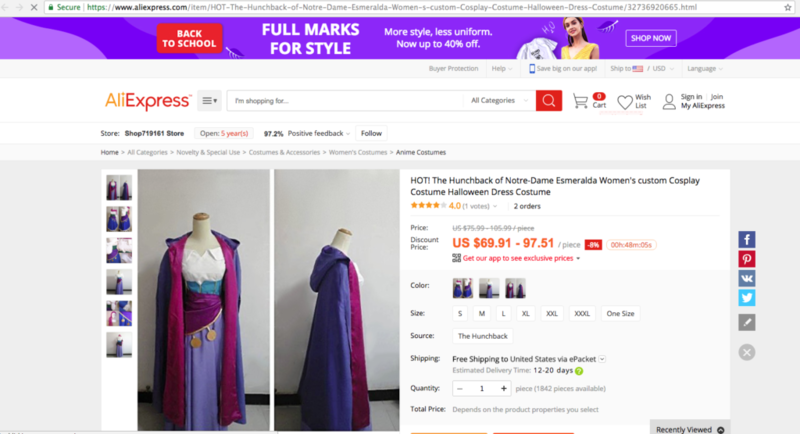 A cursory google search brought me to a $93 Esmeralda costume, which looks like a really good costume. 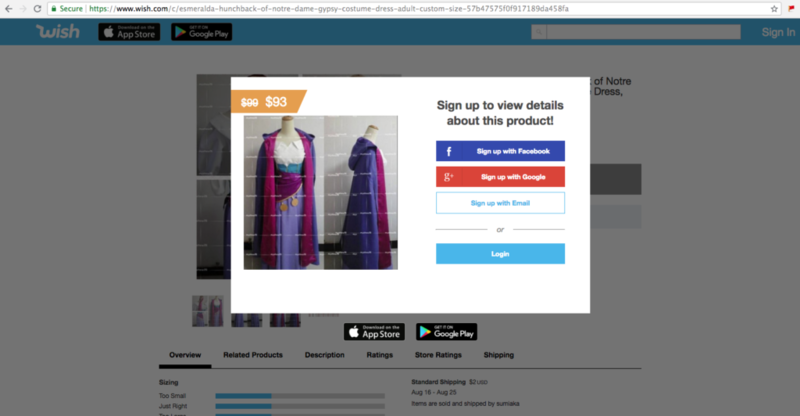 However, Wish is notorious for using other people’s images to sell the products so is this actually the costume someone would get in that mail? The same picture is used on Esmeralda costume on Aliexpress along with some other pictures of clearly different Esmeralda costumes. Also there are two different sellers on Aliexpress “selling” this particular costume. Now for the record I don’t want to waste any money for curiosities of what this costume is actually like in person, so I failed there but the culture of buying products for the sake of entertainment is very interesting to me. The people on youtube buying these cheap products are making their money back on ad revenues at least the bigger channels are but it still stands that people are being entertained by someone else’s consumerism. And if I were to get a advance degree in sociology or even anthropology, I would love to study it more or just read reviewed articles on the subject for fun.